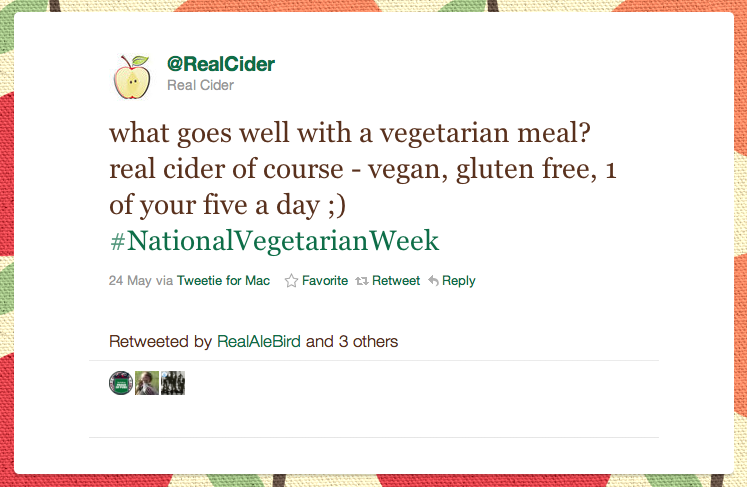 Our tweet about real cider being one of your 5 a day recently prompted a news article that was discussed on regional radio at BBC Coventry. It was reckoned by a local cider maker in the area, that on average 30 pressed apples make a pint of real cider. So by having one apple a day is 1 of your five, so 30 apples in fermented juice should definately do it! An apple a day – keeps the doctor away! 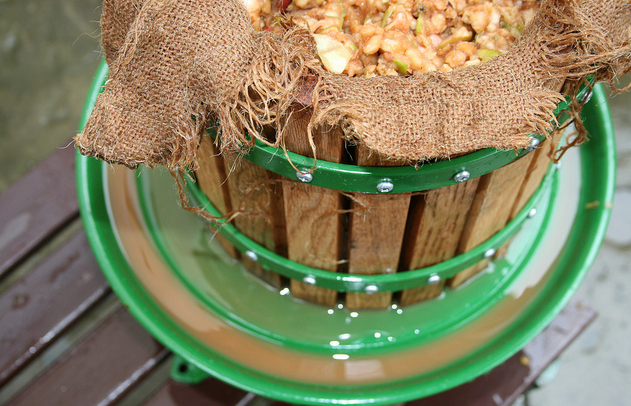 Doctors are repeatedly telling us one glass of wine a day is fine, and as the process of making cider is more similar to wine that beer I am happy to agree with them..
Cider press with apple juice flowing - where the magic starts! As you know we normally always write about cider, however every now and then there always an exception. This video is Jamie Oliver’s keynote at the TED conference who was the prize winner of the event. Watch Jamie’s stark warning to American’s about bad health and obestity, and the stark warning to all countries.